Israeli author Yoram Selbst completed his army service in the Armoured Corps, studied for a first degree in Philosophy and Political Science at the Hebrew University, a second degree in Political Science with a thesis on the transition from Positivism to Deconstructionism in the twentieth century, and a Master’s Degree in Creative Writing in the Department of Literature at the Ben Gurion University after which he wrote articles, book reviews and poems published in literary journals. After writing three children’s books, two books of poetry and winning awards his last book was The Little Prince Returns – the first of his works to be translated from Hebrew into English. 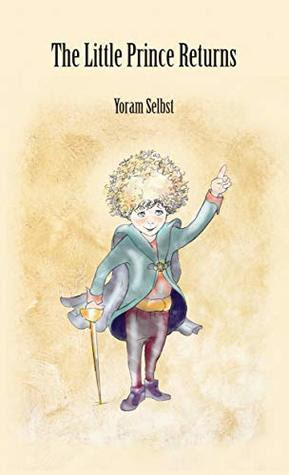 Yoram has given us that unexpected pleasure of bringing some closure to everyone’s favorite book, THE LITTLE PRINCE. Reading his ‘return’ tale is not only in fine competition with Antoine de Saint- Exupéry’s writing style, but he also takes a story pleading for continuation and has successfully accomplished that. This is a splendid little book, well illustrated, worthy of awards, but more important, worthy of owning and reading over and over. Highly Recommended.